Health and Safety (Safety Signs and Signals Regulations) 1996 these Regulations brought into force the EC Safety Signs Directive 92/58/EEC on the provision and use of safety signs. The safety signs directive was adopted by all European Union member states on 24 June 1992, which recognised the need for all workplaces to have easily recognisable signs and symbols relating to safety matters and encourage the standardisation of safety signs throughout the member states of the European Union so that safety signs, wherever they are seen, have the same meaning. In this country, the directive has been implemented through the Health and Safety (Safety Signs and Signals Regulations) 1996. These regulations apply to all places of work covered by the Health and Safety at work etc Act 1974. 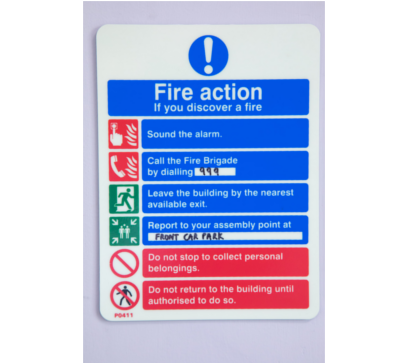 They require employers to provide specific safety signs whenever there is a risk that has not been avoided or controlled by other means, e.g. engineering controls and safe systems of work. Where a safety sign would not help to reduce that risk, or where the risk is not significant, there is no need to provide a sign.